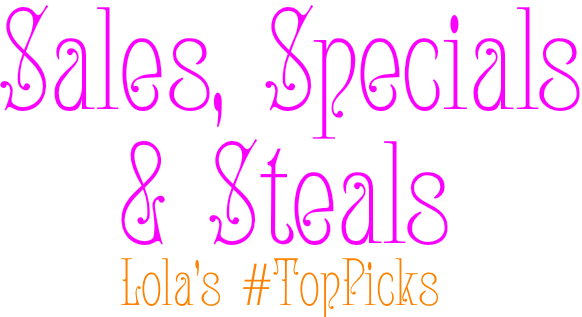 lola's secret beauty blog: Sales, Steals and Deals! Aéropostale: Up to 80% Off Clearance. Alternative Apparel: Up to 75% Off Final Sale items. Amazon: Check all of the Father's Day and Graduation gift ideas. Ann Taylor: Extra 40% Off All Sale Styles. Ann Taylor Loft: 50% Off Full Price summer must-haves. Anthropologie: Take an Extra 25% Off sale items. ASOS: Sale up to 50% Off Sale items. Banana Republic: Up to 40% off sale. Barneys New York: Designer Sale take up to 40% Off. Barneys Warehouse: Take an extra 40% Off The Barneys New York Collection. Huge selection of clearance items up to an EXTRA 60% Off. Bloomingdale's: Huge Sale and Clearance Sale. Chico's: Up to 70% Off Final Sale. Coach: Extra 50% Off all sale styles. Cole Haan: Up to 57% off sale items. Crate & Barrel: Up to 60% Off summer clearance. Derma-E: Very Clear Line 20% Off. Dermstore: Up to 58% off sale items. Finish Line: End of Season Sale: Up to 50% Off select styles. Frye: Final Sale up to 60% off sale. H&M: Up to 70% Off select clearance. Hautelook: Huge flash sales sitewide. Use Code: 16TOSHOP (Ends 6/6/18). Kate Spade: Lots of clearance styles. Kiehl's: Receive a 5 piece men's gift, plus free gift boxing with any $85+ men's purchase. Use Code: DAD (Ends: 6/10/18). FREE shipping on orders $50.00. Kneipp: Free Body Cream with $60.00 purchase. Lands' End: Sale up to 60% off. MacKenzie-Childs: Up to 50% Off clearance. Macy's: Extra 20% Off Select Use Code: SHOP. Madewell: Up to 60% Off Clearance. Marc Jacobs Beauty: Free Shipping on $50.00 orders. Check out their Sale section! MICHAEL KORS: Semi-Annual Sale: Up to 25% Off Already reduced styles. Neiman Marcus: Designer Sale. Up to 40% Off men's and women's styles. Net-A-Porter: Sale up to 50% Off. NINE WEST: Buy 2, get 40% Off. Nordstrom: Save up to 50% Off Sale: Beauty Sales, Women's Sale, Men's Sale, Trend Sale, Kid's Sale & Home Sale! Nordstrom Rack: Clearance up to 80% Off. Paula's Choice: 30% Off Exclusive Anniversary Sets. Pottery Barn: Up to 50% Off outdoor furniture. Ralph Lauren: Take 30% Off when you spend $150.00 or more. Use Code: JUNE. REVOLVE: Huge savings on select styles. Saks Fifth Avenue: Up to 40% Off designer selections for men and women. Sephora: Up to 50% Off Mega Sale. Shopbop: Up to 50% Off Sale Items. Skinstore: Up to 50% off select sale. Sole Society: Summer Ready Sale Up to 60% Off. Sur La Table: Clearance up to 60% Off (No code necessary) Free Shipping Over $59.00 Use Code: SHIPFREE. The Body Shop: Up to 75% Off Select sale items. The Container Store: Travel Sale up to 25% Off (Ends June 24, 2018). 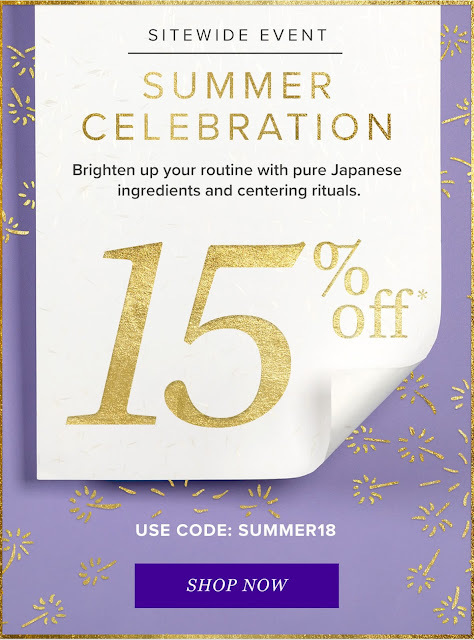 Ulta: Lots of AMAZING Sales, Specials and Coupons. Urban Outfitters: They always have amazing sales. West Elm: The Summer Kick Off Sale Up to 30% Off. Up to 60% Off New Markdowns. Williams Sonoma: Up to 40% Off The Dining Event. Spring Clearance up to 75% Off. Online Outlet Up to 75% Off. World Market: Save up to 30% Off Select Outdoor Furniture.